Can this science student really make insulin? Troopers: Motorcyclist dies in a crash on SR-201, suspect on the loose. A new bill could change the state of Utah flag as we know it. House Bill 292, sponsored by District 43's Rep. Keven Stratton, is inspired by the group Organization for a New Utah Flag. "The Beehive represents Utah as the 'Beehive State' and the state’s motto of 'Industry.' The largest element of the design, it makes the flag instantly identifiable as belonging to Utah," their website states. "The red star represents Utah’s statehood in 1896. The '1847' exhibits Utah’s pioneer heritage and the origins of its founding. The crossroad design symbolizes Utah’s place as 'The Crossroads of the West' with the joining of the Transcontinental Railroad at Promontory Point," the group stated. The group said the red in the lower quadrant of the flag represents southern Utah's red rocks. The white represents the snow-capped mountains, and the blue the Great Salt Lake. 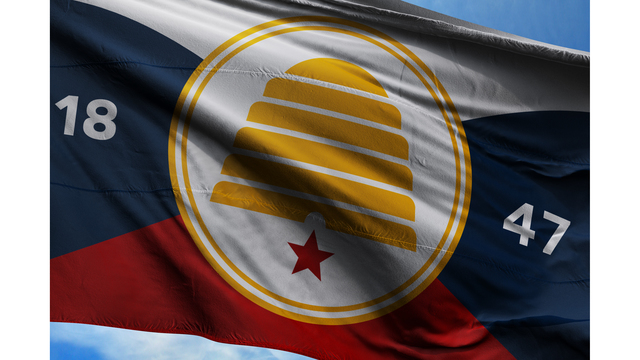 To view the proposed design, and learn more about the Organization for a New Utah Flag’s efforts, visit www.newutahflag.org.